As part of the information-sharing and the cultural exchange, Groupe ISCAE English-Club has organized, on January 8th, 2019 a meeting with a group of American students, at ISCAE-Casablanca. 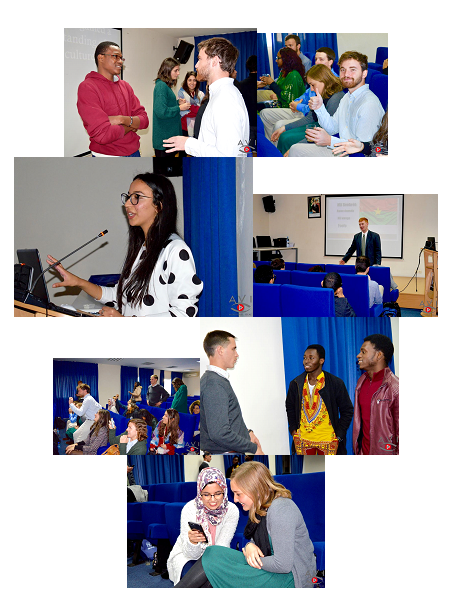 The meeting purpose is to explore the richness of cultural diversity and to promote intercultural understanding between young people from different countries and continents. The debate focused on several aspects of culture: language, religion, rituals, feasts, beliefs, values, norms, behaviors as well as the cultural heritage- both tangible and intangible- passed on from one generation to another. It was a colorful gathering, full of laughter, joy, and learning.